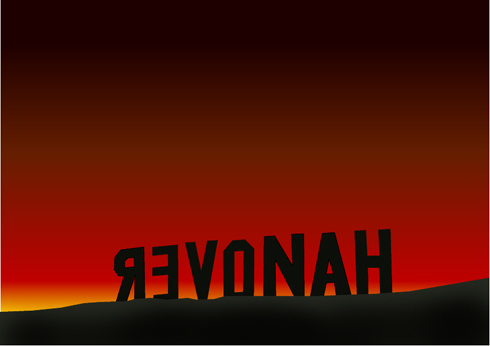 Another tribute to Ed Ruscha, this time celebrating Brighton’s Muesli Mountain. Created in Freehand and touched up a bit in Photoshop. My first Embassy Court digital print, now entitled Embassy Court (east), is currently on show in the basement of Embassy Court, Brighton, part of the Xmas Festival of Open Houses. 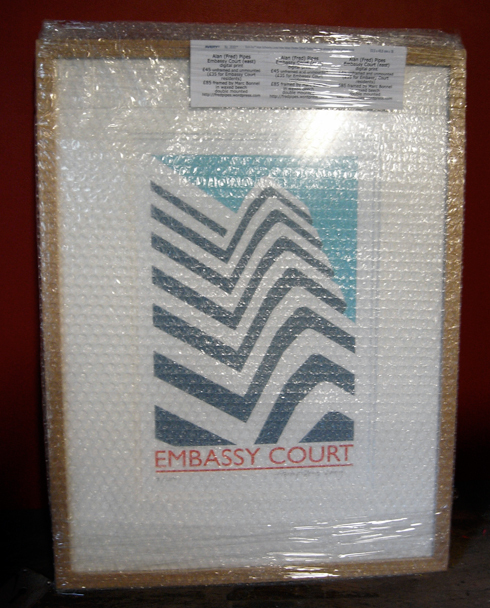 It costs £45 (or a discounted £35 to Embassy Court residents), unframed and unmounted. As shown here double mounted in a waxed beech SW3850 frame by Marc Bonnel costs £85 (but there’s only one of them)! It joins Circus Kinetica and work by Sue Milnthorpe and other artists in the basement of this Modernist masterpiece. From next weekend, this and its companion piece, Embassy Court (west) will be on show at the Dragonfly House, 48 Ditchling Rise. I’ll be invigilating Saturdays 11-3pm, so come along and say hello!